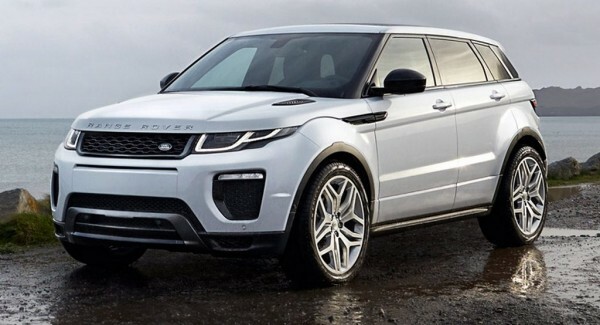 The Range Rover Evoque is praised around the world. The compact SUV has a huge following in India too. Looking at the growing popularity of the baby Range Rover, the JLR group today launched the facelifted 2016 Range Rover Evoque in exchange of a price of Rs. 47.10 lakhs with three-year service plan and a three-year or 1,00,000 km warranty. The lowered price is a result of high level of localisation. The new SUV in India will be powered by a 2.2 liter, four-cylinder, DW12 diesel engine good to produce 188 HP and a peak torque of 420 NM at an RPM as low as 1,750. This motor will be paired with a 9-speed automatic gearbox with Drive Select and paddle shifters. The older car had a six-speed gearbox which was 7.5 kg heavier than the new 9-speed. On the exteriors the 2016 Range Rover Evoque gets a new bumper, new bigger intake dams, two new grille designs and an all LED headlamp. The rear has a new tailgate spoiler, roof fins and a 3G antenna to enhance phone signals. The car now rides on alloy wheels which will be offered in three different designs. The interiors are also updated. The 2016 Range Rover Evoque gets a new infotainment system accessible by the new eight-inch touch screen display. The door pans and seats are also upgraded. The facelifted SUV also gets the All-terrain progress control (ATPC) from the bigger Range Rover which helps the Evoque stabilize the speed at an preset optimum level while tackling rough terrains. The new SUV will also have an all-wheel drive system and the renowned terrain response system by Land Rover. This system helps driver to go off-road without much of technical knowledge while the other off-roading vehicles let the driver customize the drive to suit the terrain. The 2016 Range Rover Evoque also hosts a number of safety features like Lane-keeping assist which avoids unintentional lane changes, the autonomous emergency braking system that automatically applies brakes in emergency situations to avoid or minimize the damage in collisions. The new SUV also comes with an attention assist estimation system which notifies the driver through audio and video notifications when it detects the possibility of driver falling asleep judged by the steering inputs. The car is and has always been a perfect value for money. The Jaguar-Land Rover group, at the launch, mentioned that the Tata Motors owned company has received 125 orders for the new 2016 Range Rover Evoque by now.